SOMA: A 160-HOUR Online IMMERSIVE MEDITATION TEACHER TRAINING PROGRAM FOR COMPREHENSIVE MINDFULNESS PRACTICES. It is with great excitement that we expand our longstanding in-person Meditation Teacher Training Certification program with Dr. Deborah Norris to a community of fellow meditators across the globe. This comprehensive online training program features Professor Deborah Norris, Ph.D. founder of The Mindfulness Center™, and Director of the American University Psychobiology of Healing program. The powerful personal and social benefits of meditation expand far beyond the restrictions of time and place, so we see every reason that you too should be able to expand your practice and your ability to share your experiences with others. This online certification program is modeled after the immersive experience of our on-site training offered at The Mindfulness Center, located in the Washington, D.C. metro area. From the comfort of your own home, and on your own schedule, you can now join our online community, and experience the same scientific and psychological depth as our professional on-site Meditation Teacher Training program. Upon completion of the program, you will be a certified meditation teacher by The Mindfulness Center. Continuing education credits are also available. •Receive professional mentoring, including personal "office hours", and live and recorded group conversations. •Learn the skills to apply mindfulness practices to relationships and situations of conflict, trauma, and behavioral change. We warmly welcome and encourage individuals from across the globe to enroll in the online meditation teacher training program. Meditation is a practice that bonds us all together in a powerful and healing transformation. This certification program is especially beneficial for health care providers, mental health professionals, and educators interested in incorporating mindfulness and meditation into a professional setting. It is also valuable for those looking to take control of their personal health through a greater understanding of the mind-body connection, or to deepen their connection to the people and the environment through increased awareness and mindfulness. Once you enroll in the program, you will gain immediate access to a community page to easily connect with fellow students any time, any place. This comprehensive online training program features Professor Deborah Norris, Ph.D. founder of The Mindfulness Center™, and Director of the American University Psychobiology of Healing program. Engage in humanity's shift towards consious awareness and cultivate a more compassionate world. The Cutting Edge of Health and Wellness Modern scientific research is constantly unearthing new and revolutionary uses for mindfulness practices in the fields of medicine, education, mental health, business, athletics, the arts, and more. 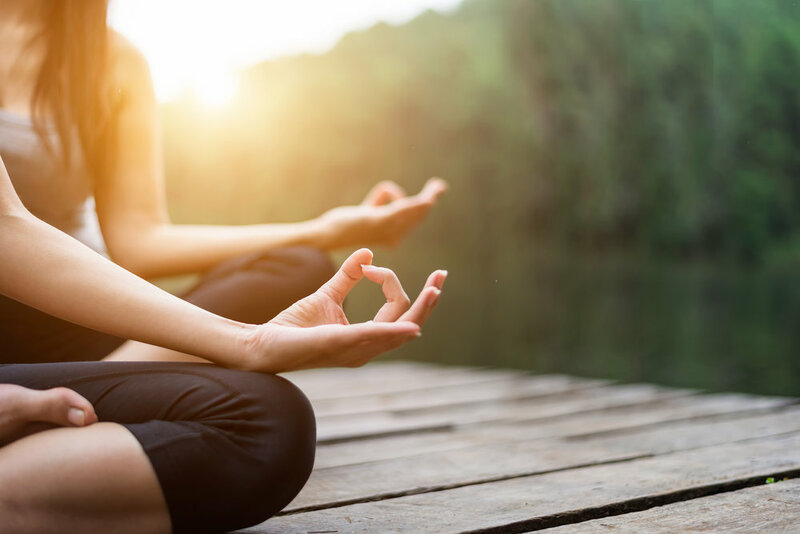 A Growing Market Individuals are beginning to incorporate meditation and other awareness practices into their personal and professional lives to benefit the health of their minds, bodies, relationships, families, and work. Popular Demand for Practitioners Popular interest in mindfulness practices has dramatically spiked across the world, creating an ever-growing need for experienced and dedicated teachers to offer these practices with knowledge, clarity, and wisdom. Engage in Healing Yourself and Your Community Individuals who practice mindfulness find they approach life with more reverence and with a newfound compassion for the environment and people around them. This allows practitioners to actively engage with healing their environment, whether it be on a personal or community level. Becoming a meditation teacher is a wonderful and natural step for the experienced meditation practitioner, with all kinds of opportunities to share your teachings in schools, hospitals, places of business and elsewhere. Whether you are a teacher, healthcare provider, or business leader, the Science of Mindful Awareness, meditation teacher training program will open up opportunities for you. The Science of Mindful Awareness/Meditation Teacher Training is an evidence-based program, using research on best practices. We explore research on specific benefits of the practices, clinical benefits in health care; social, emotional and academic benefits for students, treatments of trauma and stress, and research on mindful leaders. MTT Online is a Self Paced Program with an International Community. The online nature of this program allows students to enroll in and begin the program at any time. This flexibility allows students to begin learning when it feels naturally right for them, rather than having to rearrange already busy schedules to fit in another commitment or to wait until a course is offered at an opportune time. •An online community to receive feedback from your fellow trainees, grow your practice, and acts as a support network that allows you to test new sequences, and engage with your teacher training family. The Meditation Teacher Training program is presented in three sections, each of which takes approximately 40-60 hours to complete, totaling 140 hours. The final 20 hours required for completion of the program engage you in a community service project. Support for selecting your community service activity is provided in the curriculum, and offers you the opportunity to pursue a service activity that serves your passion. START SHARING YOUR PRACTICE. APPLY TODAY. •Direct access to communicate with Dr. Deborah Norris and other faculty. •Payment plans and a limited number of partial scholarships are also available for interested participants. •Research resources rich in information on the science, practice, and application of mindfulness in health care, education, worksites, trauma care, prisons and more. Please contact Roxanne. the program regitstrar for more information. Information on payment plans and scholarships also available. Deepening your meditation practice through this program allows you to fuel the evolution of your own being while finding the empowerment to lead others in aligning with the flow. Upon completing this program, you will be awarded a Certificate of Completion of the Meditation Teacher Training from The Mindfulness Center. We welcome all interested students to join us on this journey of education and sharing and look forward to engaging with you in our community of dedicated learners. For any questions, please contact roxanne. I started SOMA online course in March, and have learned and transformed a lot in the process. Thank you very much for designing this great course, writing a wonderful book and making them available for us to learn.